The fourth and final test aircraft for Boeing’s KC-46 tanker program takes off on its first flight from Paine Field in Everett, Wash., on April 25, 2016. The 767-2C will be used to conduct environmental control system testing and will eventually become a KC-46 tanker. Boeing plans to build 179 KC-46 aircraft for the U.S. Air Force. With a successful April 25 first flight, Boeing has added the fourth and final flight test aircraft to the KC-46 Pegasus fleet, a 767-2C. During the 1 hour, 40 minute flight, test pilots performed operational engine checks, flight controls and environmental systems checks and took the 767-2C to a maximum altitude of 39,000 feet prior to landing at Boeing Field, south of Seattle. The 767-2C is a KC-46 without the aerial refueling system installed. 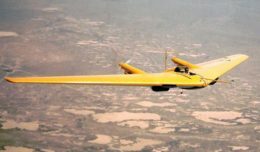 This aircraft, known as EMD-3, will be used to conduct environmental control system testing, including hot day/cold day testing and smoke penetration testing. As part of the contract awarded in 2011 to design and develop the U.S. Air Force’s next-generation tanker, Boeing has built four test aircraft — two are configured as 767-2Cs and two as KC-46 tankers. Eventually, both 767-2Cs will become KC-46 tankers. EMD-1, the first 767-2C test aircraft, has completed more than 315 flight test hours since its first flight in December 2014. 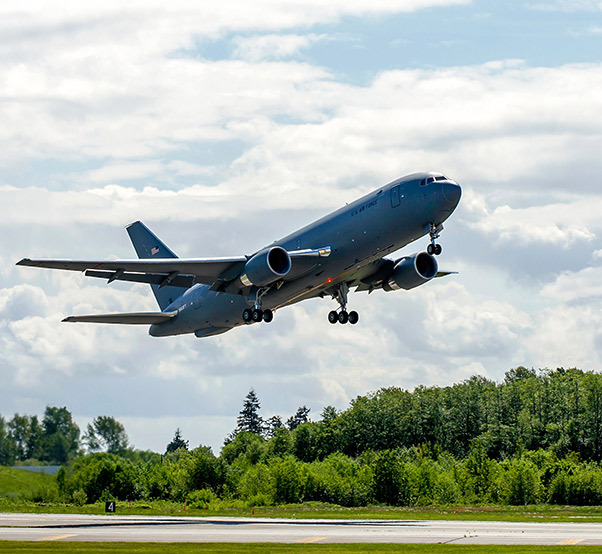 EMD-2, the program’s first KC-46 tanker, made its maiden flight in September 2015 and has completed more than 240 flight test hours, including refueling F-16, F/A-18 and AV-8B aircraft. It also has been refueled by a KC-10 tanker. EMD-4, the second tanker, first flew on March 2, 2016 and has completed 25 flight hours. Boeing plans to build 179 KC-46 aircraft for the U.S. Air Force.